“Attaining cost leadership, achieving best quality standards, producing wide range of products, and maximum value addition will be crucial for maintaining our leadership position in the global steel industry,” said the Union Minister. 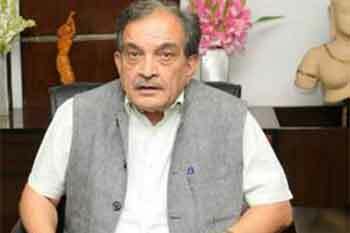 The Government is holding negotiations with the US on 25% import tariff imposed on steel, Union Steel Minister Chaudhary Birender Singh said at an ASSOCHAM event held in New Delhi. “Negotiations are still going on there may be some sort of understanding, (but) if we have to take certain steps to safeguard our interest, we will certainly take,” said Singh while inaugurating an ASSOCHAM Steel Summit held in New Delhi. Mr. Singh said that while India is on its way to become world’s second largest steel producer and will be the leader in consumption growth in the world in next 5-10 years, it will have to focus on value addition and production as per country’s requirements. “Attaining cost leadership, achieving best quality standards, producing wide range of products and maximum value addition will be crucial for maintaining our leadership position in the global steel industry,” said the Union Minister. Talking about the global challenges being faced by India’s steel sector, Mr Singh highlighted trade issues with the US and European Union (EU), sudden change in Rupee exchange value, dumping of steel by other countries and fluctuation in raw material prices. “At home logistics and transportation of raw material and finished products, upcoming expiry of mining licences in 2020 and resultant auction of mines and others are few of the challenges,” he said. The Minister further said that India should promote innovation instead of technology transfer and encourage scientists and engineers to move in different direction. In his address, ASSOCHAM president, Mr Sandeep Jajodia lauded the Government of India for taking number of proactive measures to ensure rapid growth of Indian steel sector. Sharing his perspective, ASSOCHAM’s secretary general, Mr Uday Kumar Varma said that Indian steel industry has good prospects for coming years, more so looking at the government’s thrust on promoting innovation along with research and development.